The charity smackdown was intense – and attracted some of the biggest stars of the blogosphere. Michael Arrington of TechCrunch offered to match reader donations. If he won, Fred Wilson, a renowned New York venture capitalist and author of tech blog avc.om, promised to give the grand prize – a lunch with Yahoo’s (YHOO) Jerry Yang – away to a reader (quipped Arrington: “Fred Wilson must be stopped.”). And Allthingsd.com’s Kara Swisher videotaped her two young kids asking for cash. readers, author Sarah Bunting raised more than $100,000 in donations. In all, the site that hosted the contest last year, DonorsChoose.org, raised $420,000 to help fund education. Now comes the second philanthropic showdown. Starting Oct. 1, bloggers will compete to raise funds for DonorsChoose.org, which lets donors school projects to fund. Arrington, Wilson and Swisher are back in the ring along with Net celebrity Julia Allison (nonsociety.com), former Microsoft tech evangelist Robert Scoble (Scobleizer.com), and a host of others. It’s not just A-listers, though. Any blogger can join, and as Bunting demonstrated, sometimes a small group of passionate people can outgun a massive audience. 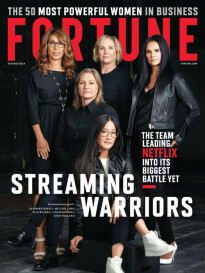 As media sponsor, Fortune will keep you updated on who’s ahead – and what crazy and creative tactics bloggers are using to raise money. There’s a good reason techies love Donorschoose.org. 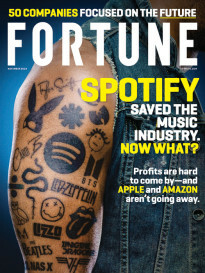 As Fortune wrote in February, the site is part tech and part business with a strong do-gooding bent. Started by former teacher Charles Best in 2000, it has grown from a New York City experiment to an efficient alternative funding source for teachers nationwide. Last year, with the help of an $11 million “investment” (read: donation) from Web heavyweights like eBay (EBAY) founder Pierre Omidyar, Yahoo cofounder David Filo, Silicon Valley venture capitalist Vinod Khosla and Netflix (NFLX) founder Reed Hastings, the site moved beyond a dozen or so states and geographic areas to offer services to every school in the country. So far, Donorschoose.org has raised $24 million to get support to 1.4 million students in 50 states. Nearly 60,000 projects have been funded. And that’s only the beginning of Best’s vision for the organization. Here’s where you come in. Starting Wednesday, check out the Blogger Challenge on Donorschoose.org/bloggers. Make a donation – and help your favorite blogger win. Or if you’re a blogger yourself, join the challenge, and see if you can best the blogging A-list in your fundraising. The winner gets a good old-fashioned dose of media attention, a priceless prize for any blogger. The competition is bound to get rough, and hilarious. Here at Fortune.com, we’ll keep you updated on Techland.